Shamanism is humanity's oldest spiritual tradition. In much of the Western world, the indigenous pre-Christian spiritual practices have been lost. Yet at the northern fringes of Europe, Christianity did not displace the original shamanic practices until the end of the Viking age. 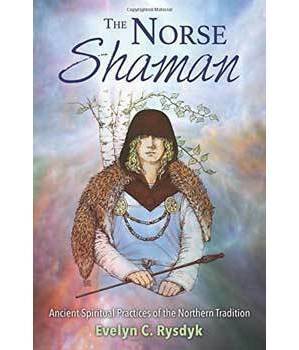 Remnants of Norse shamanic spirituality have survived in myths, folk traditions, and written records from Iceland, providing many clues about the ancient European shaman's world, especially when examined in conjunction with other shamanic cultures in northern Eurasia, such as the Sami and the tribes of Siberia. Paperback by Evelyn C. Rysdyk.